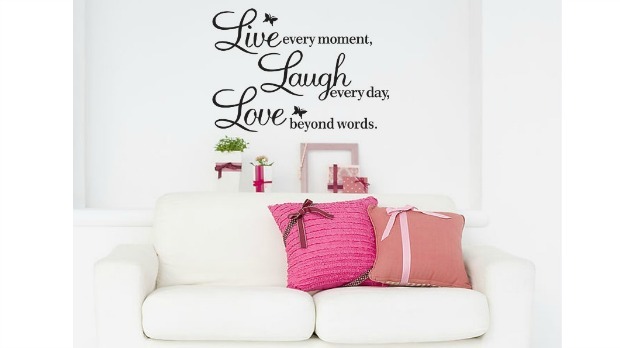 Live Every Moment, Laugh Every Day, Love Beyond Words Decal $1.99+ Ships FREE! You are here: Home / Great Deals / Amazon Deals / Live Every Moment, Laugh Every Day, Love Beyond Words Decal $1.99+ Ships FREE! Head over to Amazon and get the Live Every Moment, Laugh Every Day, Love Beyond Words Wall Quote for just $1.99 plus FREE shipping!! i almost bought this but then i read the customer reviews. not at all what i expected.